This polyamide braided netting offers an excellent pass for waves while remaining comfortable for your feet when passing over your boat's trampoline. The best compromise: permeability and comfort! 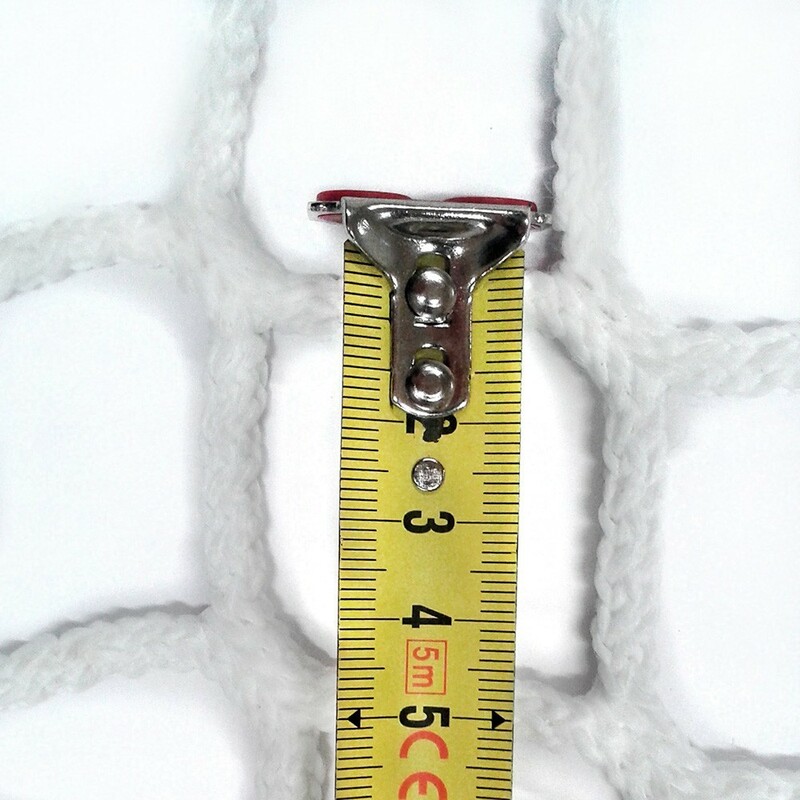 - 50mm braided netting. Large netting allows an important water flow onto the trampoline. A bonus for large catamarans equipped with large trampolines, that can retain their manoeuvrability. And the braided netting will still allow you to lie comfortably on the trampoline. - Polypropylene treated against UV exposure: Like all our catamaran nets, this model has been treated with a high-performance UV protection. The polypropylene offers an excellent resistance to the different marine elements and will accompany you for years to come. -Available in black or white, you can choose which one suits your boat best! - Created from your design. Your trampoline will be created from your plans and measurements. A 3 to 4 week manufacturing delay is required. We advise you to leave your trampoline in water for 24hours before installing it on your catamaran.